Katie Jenks’ labor of love, Kid’s Time Child Care Center, was a huge part of my family’s life, from the moment we moved to Lyme in 1993 with two boys under 3 until Grace went to school full time. Those were formative years for us all. In August, Kid’s Time closed, after twenty-six years — more than a generation — of caring for Lyme and other local children and families. I celebrate Kid’s Time! Since the early 1990’s, shortly after graduating from Bay Path College with a degree in Early Childhood Education, Katie Jenks owned and operated a (comparatively) small, in-home, licensed day care center in the heart of Lyme. 15-25 kids roamed and/or crawled the halls & floors of Katie’s home on High Street on a daily basis. The center employed several qualified and loving associates to work with the children. Katie’s house was once occupied by a family with their own herd of kids. It sat very close to the road, and after the property was purchased by the Jenks family, a restoration project moved it back onto a new foundation and a safer distance from traffic. It was no stranger to the business of a big family and lots of activity. Over 26 years in operation, Kid’s Time served a very, very long list of families. Kids that attended at the beginning now have kids of their own, and Katie has cared for some of that next generation. 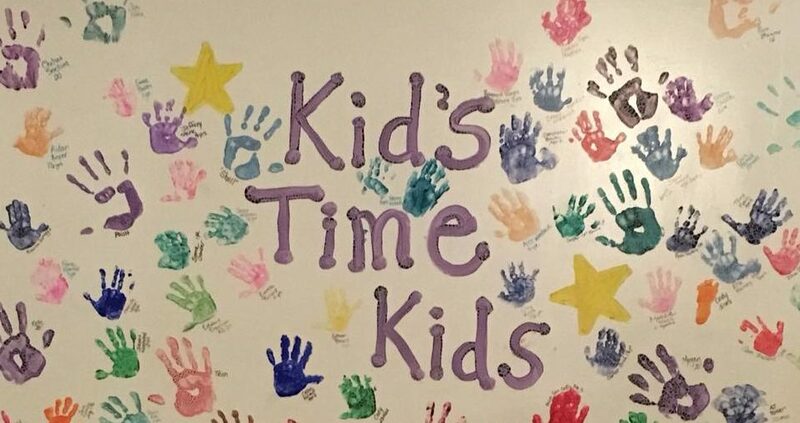 There were often multiple children in a family that attended Kid’s Time; and kids who attended together became lifelong friends. It was a family affair. Katie often kept children overnight or on a weekend if a family was going through a difficult or challenging time. She took my boys, Mike and Chris, in the middle of the night when we went to the hospital for Grace’s birth. Like family, but also attentive and capable professionals, the staff helped parents identify and work through sometimes complex medical, emotional, or behavioral challenges in loving and supportive ways. Child care is a tough business, getting tougher as regulations, licensing requirements, and insurance rates have increased. Tragedies at other centers around the region have highlighted the weight of responsibility a day care center holds. Kid’s Time had indeed been extremely lucky over such a long period of time; and the time seemed right for Katie to seize other opportunities. Grateful for a successful and well-supported business, Katie made the difficult decision to close Kid’s Time. There are other very competent centers as options for her families. Katie was able to step back and appreciate the longevity of the business and her enormous extended family, with the peace that came from knowing everyone would be OK.
CommunityCare of Lyme extends heartfelt congratulations and thanks to Katie and Kid’s Time for providing an enriching and loving environment for so many children and families over twenty-six years. May she and her staff move forward knowing that they made a difference to so many and sharing in the pride and awe of the the wonderful adults that continue to blossom after having had a nurturing start at Kid’s Time Child Care Center. I used KTCCC as a benchmark as I looked for daycare for my little girl in another state – knowing that if I couldn’t have the best, I needed to find a place that was as close to it as possible. The Love, energy, commitment to care and well being, commitment to education and teaching, the ability to care for a little ones AND for the parents, which Katie did every day with such genuine as and positive energy, is truly hard to find. As a dear friend of mine since third grade, I often reflect on her success and her compromise and sacrifice for others without question, and I am honored to have her in my life, another life that she impacted among the thousands directly related to Kids Time.